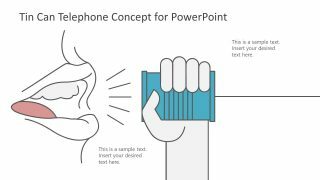 The Hoshin Kanri PowerPoint Template is a professional Business Strategy PowerPoint Design. 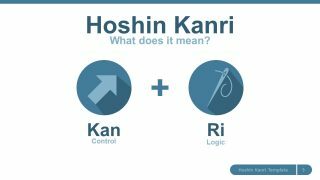 Hoshin Kanri is a systematic method of policy planning and managing progress to achieve strategic goals. 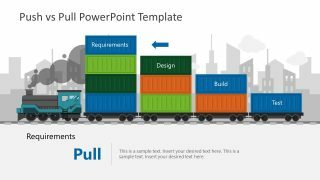 It helps organizations to focus on vital goals and communicate it to all employees. It also helps direct towards breakthrough objectives, integrate with cross-functional cooperation and measure performance. 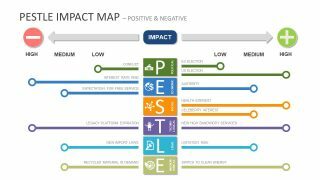 The purpose of this methodology is to understand key concepts, plan policies accordingly and provide guidelines to deploy and manage change. 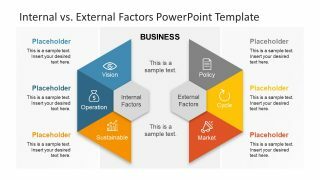 Presenting this model in PowerPoint helps members of organization to understand structure and importance of operational policy development. 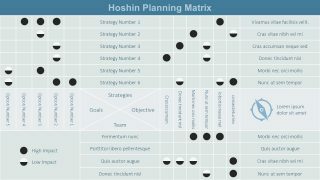 The Hoshin Karin (also known as Policy Deployment) is a model designed to ensure strategic goals through operational progress, at every level within an organization. The model creates a process of an effective flow of information such that goals and key performance indicators are communicated from top down and results are reverted from bottom up. 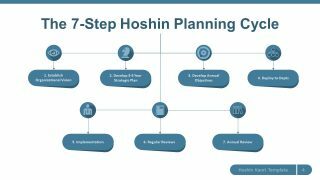 There are 7 steps in Hoshin Kanri planning process to align strategic objectives, identify resources and develop execution plan. 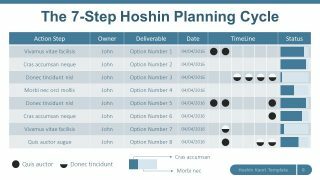 The Hoshin Kanri PowerPoint Template contains ready-to-use set of editable template slides including diagrams of process flow model, X matrix and planning cycle which can be modified according to company’s preferences. The knight chess piece shape in the start with stunning color theme symbolizes strength and value whereas, target icon represents focus. 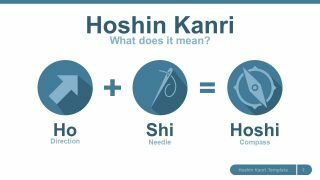 The business strategy PowerPoint also has two slides to explain bilateral meaning of Hoshin Kanri to the general audience. 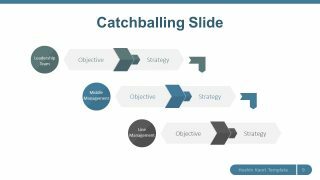 This template consists of a modern design for process diagram, versions of X matrix diagram and catch balling. 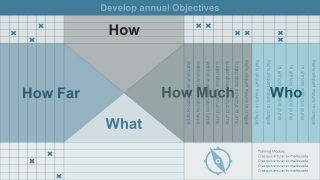 The detailed X matrix tables enables organization to map goals, objectives, strategies and resources for improvement. 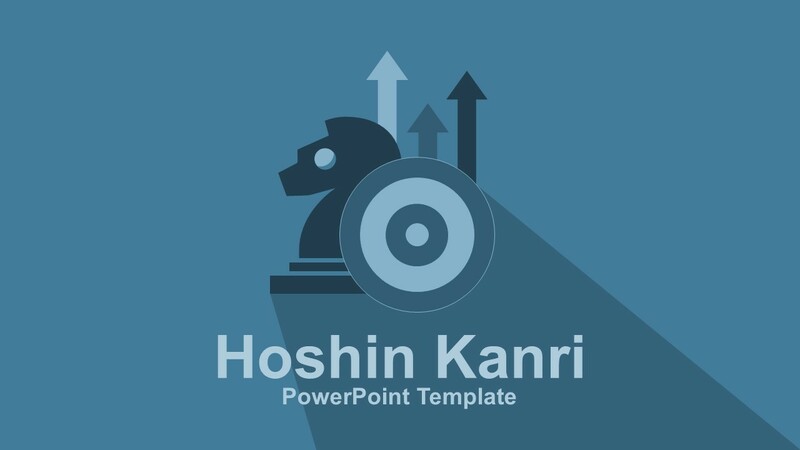 The PowerPoint template provides variety of customizable flat vector shapes, infographics and icons aiding to depicting key concepts of Hoshin Karin model. 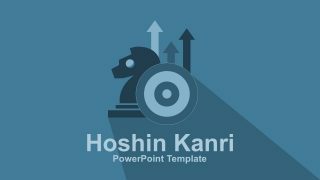 The Hoshin Kanri PowerPoint Template is a very useful presentation in business startup planning meetings or organizational paradigm shift. It helps stakeholders to understand vision alongside of activities. 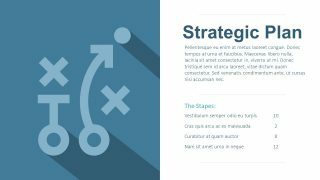 The business experts and manager can create an influential visual of strategic planning concept which is easier to convey.